My goal is to make the process of buying and selling Los Cabos Real Estate efficient, enjoyable, easy and rewarding for you. See for yourself how my Real Estate clientelle feels about the professionalism, ethics and Los Cabos Real Estate service's they have received. With 38 years in the real estate brokerage business, I have seen it all, the good, the bad and the truly terrible. But 3 years of working with you has given new meaning to the word "professional." Not only are you an avid learner who came regularly to weekly training, you could have done the training yourself and we all would be better for it. Your work ethic is demonstrable and inspirational. Your calm, in depth understanding of real estate puts you at the top 1% of agents I have met in my career. Your methodical and deliberate approach means your sellers and buyers are getting outstanding service and advice. Your marketing is brilliant and a joy for buyers and sellers to see and respond to. Your ability to work with virtually any client or customers puts you in a class by yourself. I would recommend you unqualifiedly and with enthusiasm. Anyone who wants a direct reference or to speak with me can call my cell at 203-570-5477. I would be delighted to be your booster. Named "One of the 100 Most Important People in Real Estate"
Named one of the the "Top Ten REALTORS in the U.S."
HI Connie, You enjoy a very favorable reputation and it is obvious from your dedication and professionalism. I welcome your assistance in locating another investment property. Yes-the money hit our account this afternoon. It has been a “long and winding road”, and there were times we wondered (as you may have) if the lot would ever sell (and then would it ever close). Patti and I want to sincerely thank you for always being there for us. You have been responsive, professional, personable, and we very much appreciate all of it. With that said, please feel free to use us as a reference.We wish you continued success in your business, and in your new marriage. I wanted to thank you for the considerable time and effort you have put in to sell my condo in San Jose Del Cabo Mexico, you have had to navigate numerous issues far beyond the normal in getting this transaction completed. In this I have no reservations in recommending you to anyone else wishing to buy or sell real estate especially in Mexico. I have known Connie for 13 years. She has become a friend and an advisor. I trust her implicitly. In all my real estate dealings, both here and abroad I have NEVER met a more capable, conscientious, ethical, and intelligent real estate associate. Honestly, if you are interested in ANY property in Los Cabos contact her. I hold Connie Meyerhoff in very high esteem and I equally assure you that she IS the right person to know. I recommend her above all others. Connie is always there when you need her, even when it's a non-real estate matter. The kind of person you want to call your friend, not just a business acquaintance. Keep going, Connie, San José needs you! We bought our homesite and built our home in La Jolla more than 30 years ago. It has been our "home away from home" and we have loved and enjoyed it tremendously. We decided that it now was time to sell and change our life style. We found out that it is not always easy to sell a home in Mexico. There are so many details that you may not be aware of. An ordinary seller or buyer might not be aware of all these details. We took our time in finding a Realtor since you need someone that you can trust. We are so pleased with our choice of Connie Meyerhoff. Connie spent a lot of time with us explaining all the ins and outs of Mexican real estate and all the details that are involved with selling so we knew going into the process that we were well informed along with the time that it would take and the fee's involved in selling and who was responsible for the various fees between sellers and buyers. Connie was always there for us either by phone or e mail, throughout the process of listing the property for sale, handling showings and open houses, negotiating offers that were presented, until we acquired a buyer and were able to negotiate acceptable terms and purchase price. And then we entered in to the closing process. Using Connie Meyerhoff for the sale of our home was the best move we made. She is a real professional. I just wanted to send a note thanking you for all of your hard work in selling our lot in Querencia. Living in the US, we were concerned that the distance would make the whole process difficult for us. I am grateful to say that was not the case. You quickly dispelled those fears by keeping us well informed of market conditions and comparable property sales in the area. We also appreciated your quick and thorough responses to any questions or concerns we had. The closing process was surprisingly simple and went off seamlessly. Thanks again for all of your efforts; we could not have done it without you and Snell. Happy New Year...and again, we so love San Jose...and you truly are the one individual we have to thank, over and over again, for making that become a reality for Kim and I and our family. I agree with your suggestion. I also think we need to get back to what the property we have really is, a business run successfully for many years, not just a commercial location. Thank you for recommending an agent who you have respect for, we would appreciate that. Let us know, and thank you for all you have done for us!! I loved the letter written by one of your clients. He spoke the truth about you! Thanks Connie for everything. Lots of emails today for the closing but sounds like it all came together. It Was a longer than anticipated process but thats the market. Thanks for all your advice and seeing it through to the end! Hi Connie: We REALLY appreciate the excellent posting of our house on Facebook. I already mentioned how impressed I was with the professionalism of the description and photos, but to repeat myself- VERY WELL DONE!! Anyway, looking forward to seeing you and hopefully this is the year we sell that house so we can do other things, and you can finally make some money.Thanks again for this terrific posting. I’m very pleased. All's Well that Ends Well! Thank you so very much for all the time and effort that it took in putting this deal together. Your Great! As a broker for over 30 years in the Napa Valley I have worked with many real estate agents. I can say that Connie is one of the highest level professionals I have worked with. 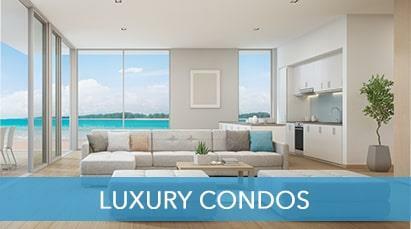 She listened carefully to the type of condominium we wanted and only showed us properties that met our desired location and price point. She kept us current on the market and was efficient and respectful of the little time we had available to look at properties during our week vacation. Connie walked us through the Mexico purchase process and we are so excited to be moving soon to our personal paradise where the desert meets the sea. Thank you Connie for being there for us. Connie: I have said this so many times, I hope you believe it. If in my life I could find 50 Connie Meyerhoff's, it would be a great life. You are a surperior agent because you are such a superior human being. Thank you for your professionalism, your sense of responsibility, your great personal marketing, your phenomenal customer service, your ability to solve problems, and well....you know....sooooooo much more.You have been a joy from the first day we met, and I will miss you tremendously as I am off to new ventures in the real estate industry. Selling property can be a stressful undertaking. Add in the fact that it is in a foreign country thousands of miles away, and it can be down right scary. Connie helped us navigate the foreign real estate waters and we were successful in closing our property with no snags or problems. She even ran a few errands for us to expedite the deal. Excellent service, advertising, communication, and sales ability...What more can you ask for in an agent. Connie, We will most definatley work just with you,when selling and buying:) We so appreciate your style and professionalism!! Connie, Thank you for taking all the time you have put in with all our questions. You are a special real estate agent. You really go out of your way! You are very impressive and professional. It is our immense pleasure to recommend Connie Meyerhoff to anyone searching for their ideal home in any location. We live in Seattle and decided it was time to buy where we could enjoy the sunshine as well as relaxed surroundings. We wanted something we could enjoy that fit our needs as well as wants. Connie met with us and after taking the time to get a good feel for who we were, taking into account style as well as our budgetary limitations. She wasted no time, when we were home in Seattle she kept in communication with us. Sending emails with prospective homes that might peek our interest. She is very talented at what she does, Connie knows her stuff aware of all inventory in the area that has moved, is moving, or yet to be listed. We found that to be refreshing and it really worked in our favor. We, also being people that like to enjoy the culture had certain ideas about where we wanted to live. Connie saw it as her job to be realistic with us, some areas may have seemed charming. But upon closer inspection, they weren't for us and she knew that better than we could have. It was really wonderful for us, we were able to put our trust in her without reservation. 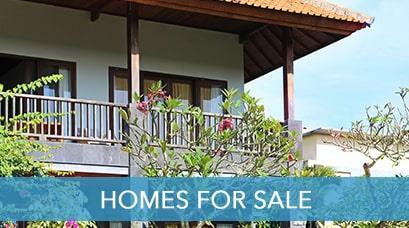 When looking to buy a second home outside of your home country, it can be a daunting process. How ever, Connie walked us through with ease of heart and concern. We had no problems we can truly say it's all about agent that you choose. As to how well it comes together and we chose the right agent. We were able to ascertain that Connie is a busy woman with many clients however, she always made us feel like we were her only client. Never interrupting us to take a phone call, she was also very patient with us allowing us time to be comfortable with our choices. We're pretty sure we weren't the easiest clients to with after all we do have a " champagne taste on a Kool-Aid Budget". Be ever the patient one she delivered. We are very pleased to recommend Connie Meyerhoff to anyone looking for a first or second home she is a Pleasure to work with. If we ever move on from here we would hope that we have the pleasure to work with her again. Connie was great as our realtor and showed us around Cabo as new visitors to the area until she found us a great Condo with everything we were looking for at a reasonable price. When the developer didn't provide everything as expected Connie stepped up and negotiated a better deal for the same price. I would strongly recommend Connie as your realtor of choice. Thank You so much. You are a classy lady. We would recommend you to anyone! In the last six months I have bought and sold three houses each time dealing with a different realtor. We listed our house in Cabo Bello with Connie and we were immediately amazed at the amount of exposure she created for the house, even including Facebook and YouTube. Connie is very professional and even remained calm when I got a little testy at times. Her handling these transactions have made this the easiest sale we have ever had. I would highly recommend Connie to anyone who is considering buying or selling a house. We celebrated this evening with a Mexican meal. Fresh basil is to my right, it was Roc's basil deal that made the lot attractive to the buyer, Cyndi's enthusiasm, and Connie, I couldn't have done any of this without your kindness and connections. Connie. I'm very impressed with your marketing efforts. Very impressed (deserves repetition). Thank you for all you're doing. Connie Meyerhoff knows her business! She was able to answer all of our questions, address our concerns about foreign ownership and guide us through the process of purchasing property in Cabo San Lucas, Mexico. We felt very confident about our decision to purchase our condo after working with Connie during our scouting trip. Although we were only in Cabo for a short period of time, we were able to see many different types of properties throughout the area thanks to Connie’s knowledge and experience of the market. On our last day, with luck on our side, we found our ocean front condo making our vacation dream come true. We couldn’t be happier with our purchase and the whole experience we had with Connie. Thank you again Connie for your advice, honesty and your friendship. See you under a Palapa soon. that you are a SUCCESS!! If you ever need a recommendation, you will have mine! Dear Connie, We thank you so much for selling our condo. With your professional guidance our experience was a great one. We look forward to working with you again. We really owe you! You were so patient, knowledgeable and easy to be around. Thank you for that. You were the greatest real estate agent by far! Connie, Once again, thank you for taking the time out of your schedule to meet with the Portus Home Store on our behalf. We truly do appreciate it, and we wonder where we would be, had you not been there to advocate on our behalf or if you had been a realtor who only cared up to the point of making the sale and then didn’t care what happened after that! So again, a big THANK YOU. We definitely owe you. It goes without saying that we will definitely direct any of our friends, acquaintances, or people we hear may be interested in purchasing real estate in the greater Cabo area, to you. We really appreciate your availability and the professionalism you showed throughout the entire process; plus, the timeliness of your e-mail responses has been fantastic. If our long range plans work out and we like San Jose and much as we think we will, I can see us transitioning to a house in a few years and you will definitely be part of our selling and purchasing process. I just wanted to say thank you for all you did to get us into the Roca Vista condo. Grace loves it. We would be interested in purchasing another unit if it comes up for sale. Connie, thank you very much for your hard work, you are showing your professional service in selling the two condos for us. We would like to be able to deal with you in the near future. I hope everything is well with you, Monica and I want to thank you for such wonderful results on the sale of our lot in La Jolla, San Jose Del Cabo, you were patient, professional and efficient, the list is long on how many praises we could give you, but be assured that we would be happy to give you a great reference due to how satisfied we both were with your real estate services. Keep up the great work!!!! You have been excellent all through this long and complicated process...we very much appreciate everything that you have done for us. We always felt you were looking out for our interests and you gave us a wonderful sense of comfort when we were concerned about one issue or another. So we just wanted to thank you for everything. We are now going to celebrate being lot owners in Cabo!! My wife and I took our kids on a holiday to San Jose del Cabo Mexico in 2013. We absolutely fell in love with the area. We decided to look seriously at investing in a condo so we could spend more time enjoying the warmth and rich Mexican culture. After speaking with others at home who had purchased real estate in the same area, Connie Meyerhoff a Canadian who had been practicing real estate in San Jose del Cabo for a number of years came highly recommended. The Idea of investing in foreign property was somewhat unnerving for my wife and I but having Connie as our agent alleviated a great deal of anxiety. From the beginning Connie was prompt in her response to our initial email. She was incredibly helpful in providing us insight into the Mexican Real Estate market and forwarding us a comprehensive list of properties to view on line from home to give us an idea of what was available. Connie maintained contact with us presenting us various properties with in our budget. We compiled a list of properties to view and arranged a date to meet with Connie. From the outset Connie was extremely helpful and accomodating. Never once did we feel pressured as we spent a full day viewing a variety of condos. As apprehensive as we were Connie was very patient and understanding and she answered our many questions. When Connie showed us the property we liked and we decided to move forward with the purchase, Connie went above and beyond keeping us informed every step of the way. She explained in detail the process to follow. As the purchase and closing documents came via email, Connie maintained her involvement carefully reading through each document to ensure it's accuracy. Throughout, Connie kept in close contact with us updating us at each step. As the closing date approached my wife booked a flight to come down for the closing but due to some unexpected delays in the process the timing was off. Connie was extremely helpful in accommodating us by not only helping with transportation to and from the airport but arranging alternate accommodations. Connie went even further by helping us as our power or attorney to sign for us on the day of close. Overall, our experience with Connie was very positive! We appreciated her expertise, professionalism, and genuine kindness. We are very pleased with our new purchase and are happy to have had made a new friend in the process! 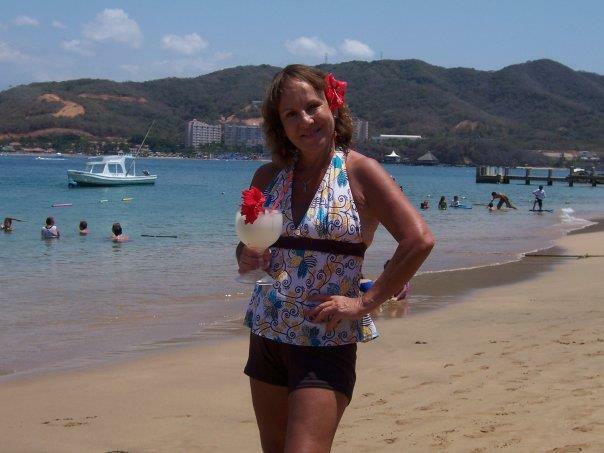 We would highly recommend Connie Meyerhoff to anyone looking to purchase property in Mexico. Roy and Dena Vandenbrink Alberta Canada. Connie was our realtor when we bought our house here in 2007. She is very professional and man what a help with her knowledge of Los Cabos and all of the surrounding areas. We have remained friends throughout the years and she always has an answer to most any question regarding Los Cabos. We recently had the pleasure of working with Connie on a condominium purchase in San Jose del Cabo and can unreservedly recommend her services to anyone considering buying or selling property in the Los Cabos area. This was our first "foreign" Real Estate transaction and we found Connie to be completely professional, personable, and very knowledgeable on all aspects of Real Estate dealings in Mexico. She was delightful to work with and very patient in helping us research and visit many properties before finding us the perfect condominium. Connie guided us and took the mystery out of all matters relating to finding the property, negotiating a sales agreement, and processing the legal issues for closure. She stayed close to us throughout the entire process and we would certainly use her services again in the future. In 2008, I had the pleasure of working with Connie Meyerhoff in acquiring an investment property in Cabo san Lucas, Mexico. While the property may not have been considered a major purchase in terms of investment dollars, it was treated as such by Connie. Her honesty and accurate assessments of the properties (I came to realize the latter over the years), were surpassed only by the professionalism and integrity of her team and, in particular, Connie. I always appreciated her thorough e-mail and telephone updates and suggestions over the years. As I mentioned, while the property value was a relatively small one (and I can only imagine that, in her mind, it might have been our only opportunity in working with one another), she treated my investment as her own. This particularly impressed me and I will always be grateful to her for this. Needless to say, 2008 through the present has been a very difficult time with respect to investment properties. Still, during this long, soft period in the market, Connie never wavered in her commitment and diligence in representing me however unlikely the prospect of selling my property may have been. Of course, staying power usually pays off. Indeed, recently, with Connie’s help, I did successfully sell the property and am honored to write this letter of testimonial and recommendation for her. I highly recommend Connie and her team. Connie Meyerhoff was the listing agent on our condo in San Jose del Cabo. It was a joy to work with her. She was available to answer questions and was present for every showing whether it was her client or not. She is very knowledgeable about the Los Cabos Real Estate market and gave us good advice. She took new photos when we made internal renovations. She is professional and was very helpful when we had to negotiate our offer. We have no hesitation in recommending Connie's Real Estate Services. We own two condos in San Jose del Cabo, BCS Mexico, and recently wanted to sell one of them. I contacted our former Realtor there to get a recommendation as to who the best Realtor was for Los Cabos. She recommended Connie Meyerhoff. We did not know Connie but contacted her at our friends suggestion. In only one meeting we realized she was the professional we needed. Since that time she has represented us and our concerns and has worked endlessly for us even though most of our communication has been through email and phone. She has always exhibited kindness when frustrations appeared. She has exhibited great marketing skills even in the midst of a Real Estate slow down. Her detailed communication and ability to cover all the bases is unequaled. She knows how to list, market, sell and close a property. She will undoubtedly be "Our" Realtor for any more buys or sales in Los Cabos. Kindness and skill coupled with attention to detail have made her our personal Realtor and friend! We first met Connie Meyerhoff on holiday in March 2012. After eating lunch, I walked into the San Jose del Cabo office and there she was. Curious I was, but also interested in learning more about area Real Estate that one day could become a semi-retirement property. Let me say a few words about Connie. She is tenacious, detail-oriented, willing to go to "bat" for you and finally, patient with her clients. Her patience is prevalent througout our experience. From the two additional Cabo trips down to look at properties, to introducing us to Mexican Real Estate laws as they pertain to foreign nationals, financing and finally location. 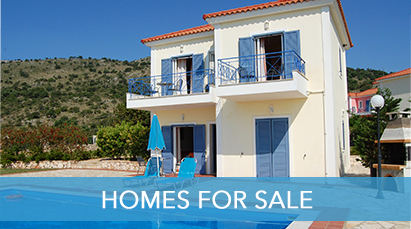 As with any property purchase, excluding budget, location is the utmost concern. During 9 months, Connie assisted us with the Real Estate "search". The journey was hot and cold at times, but always interesting and colorful as we investigated various potential properties. In addition to the challenge of distance, we also met challenges of learning the nuances of the Mexican market and encountering the whims of sellers and developers. Last Month, January 2013, we finally closed on a 2 bedroom 2.5 bath "corridor" condo that makes us absolutely happy. Throughout, Connie has been an absolute treasure and has gone far, far beyond the scope of her responsibilities. We look forward to a new friendship and would recommend Connie to any potential buyer or seller for that matter. On behalf of C21 Paradise Properties and myself, I would like to personally take a moment to show my appreciation for your very hard work and dedication as a Professional Real Estate agent for the shared sale of Fundadores 221 at Puerto Los Cabos. We look forward to more business with you and best of luck to you in the upcoming year. I am writing you this letter by means of thanking you personally for all of your help in my recent purchase of my condo in the Cabo Bello development just outside of Cabo San Lucas. First of all, your very professional demeanor from day one was very much appreciated as a first time investor in another country. You not only listened carefully to every one of my questions and concerns but either had a complete answer at hand or responded in very short order with a thorough explanation. I certainly feel that whether someone is just startng the process of searching for their little piece of paradise or know exactly what it is they are interested in and simply need a professional to guide them and facilitate the process in Mexico; You certainly have the skills, knowledge, and candor to successfully negotiate the idiosyncrasies for the Norte Americano. I found the entire experience easy and very reasonable, once I understood the "Manana" time table. I am more than willing to recommend you Connie and will do so at every opportunity. Thank you and I hope to see you in time around San Jose, Cabo or the beaches. If you're considering the prospect of researching Real Estate and possibly viewing some properties. I'd like to suggest someone who can assist you in the best possible manner. Her name is Connie Meyerhoff. Before finding Connie we had dealt with a few other agents at other agencies. Two very prominent agencies who are world wide franchises. Suffice it to say that the representation which we received from them and the services we had been provided by these entities was FAR BELOW the standards we were accustomed to here in the United States. We picked up the Real Estate glossy on our first trip. Thankfully we did not throw it away, because after a deceptive and completely disastrous first attempt at negotiating a property purchase, the publication "saved us". In leafing through it we saw Connie's add/bio and gave her a call. We arranged to fly down and meet with her. Through understanding our needs and wishes she assembled a concise dossier of properties to show us. In one weekend we were able to choose a property and begin negotiations. I highly recommend Connie Meyerhoff without reservation. She has helped us with multiple dealings in the Mexican Real Estate Market. She stand's behind her service 100% with honesty and integrity and their reputaion is impeccable. After trying a few sales reps and companies in Los Cabos for almost 4 years for selling my condo at Club La Costa in San Jose del Cabo, I found Connie Meyerhoff. In 25 years of doing business with sales agents Connie has been the most Professional and helpful Sales Person I have come across. For me dealing with my condo in Los Cabos was quite difficult, due to the fact that I live in South Africa having Connie as my agent made everything alot easier. From the moment I gave her my property to list and until it was sold, she answered for me every single question and helped me in every aspect in relation with the property better than I could ever have expected. 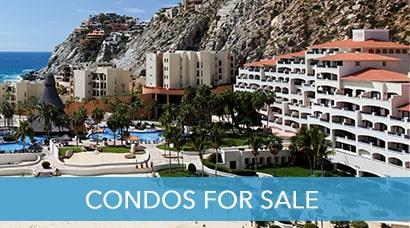 If you are looking to buy or sell Real Estate in Los Cabos, I would recommend Connie as your best option. I first contacted Connie in August 2010 regarding property on the East Cape that I had seen posted on her website. I really liked the property but it was a little out of my price range. Unfortunately I figured I would have to look elsewhere. Then Connie went to work on it. She successfully negotiated with the seller a price that I could afford and within weeks I was the new owner of my "dream lot". An important part of the "ownership" of land in Baja is the Fideicomiso. The deal isn't really complete until this document is in place. Being a Gringo that lives 3500 plus miles from Cabo, it was easy to get anxious wondering what was happening within the Mexican legal system as I waited for the process to be completed. The entire time, Connie was courteous, reassuring, and "dogged" in her efforts with the Mexican closing company to complete the Fideicomiso. Right from the beginning I knew that I was in good hands!! In the fall of 2011 I had the pleasure of meeting with Connie at her San Jose office in person. The impression she had made via all the emails and phone calls was confirmed. She is a confident, articulate professional that is intimately familiar with the local real estate market. I highly recommend her to any peson with Real Estate interests in the Los Cabos area. I am writing this letter of reference to commend the work ethics of Connie Meyerhoff in San Jose del Cabo Mexico. Patrick and I were planning our third vacation to the beautiful town of San Jose del Cabo with our future retirement plans in the works. I began to research Real Estate for San Jose, specifically condominiums which would meet our retirement needs. There was so much to learn. I found several places of interest on Connie's website and sent her an email. She responded immediately and plans were underway to view many condominiums, within our price range, upon our next visit to San Jose del Cabo. As there are many questions regarding purchasing property in Mexico while living in another country, Connie had all of the answers and was incredibly supportive. She provided us through email all of the necessary documents, which well defined all of the procedures we would follow upon purchasing. While purchasing property can raise some anxiety, Connie reassured us that through her many years of expertise in the real estate business, we could purchase feeling very confident with our decision. Connie made arrangements for us and was professionally well prepared to show us many units. She showed the ones that I had requested as well as plenty of others, but understood that it was of great importance to take all the time required. We found Connie to be exceptionally supportive and professional in every way from the start of our real estate purchase through to the final signing of all the purchase agreements. My husband and I highly recommend Connie Meyerhoff to any persons seeking to buy their piece of Paradise in Mexico. In the year 2009 I listed my Condominium at Plaza Calafia for sale with Connie Meyerhoff. In a very difficult market she was able to find a buyer quickly, and handled the transaction with a great deal of professionalism. I was impressed with the attention to detail and appreciated her ability to solve problems encountered in my absence. I would recommend her to anyone buying or selling in this area. A year ago Connie was referred to us by a title company in La Paz to show us real estate in the Cabo area. We spent the entire day looking at properties which had all the things we were looking for in a home. We then went to La Paz. Our goal was to look at properties that were available in both areas and determine which area would suit our needs. We didn't purchase any property that year but returned to San Jose knowing it was where we wanted to spend our winters. In January we returned and contacted Connie again to show us properties. We were approached by numerous real estate agents. However, Connie was so good and professional the first time, we knew she would do a great job for us. Connie prepared all the available listings in our price range with the options we had requested. We were able to look through the listings and see the pictures to determine which properties we wanted to look at. We spent several days looking. In addition we decided that we needed to also look on the Corridor and more towards Cabo. Connie has extensive knowledge of the area. Interestingly buying real estate in Mexico is not the same as the US. Connie went way over the top to ensure we understood exactly what was taking place. Understanding the process is important. Connie very patiently helped us along. While we were looking at real estate she pointed out all the good eating establishments (which we tried most of them). She took us to the bank and introduced us to the person we needed to talk to so we could set up our account. She went with us to meet the closing company (Settlement Company). Holding our hand through the entire process. Connie arranged a time for us to go through the home we ended up purchasing with a contractor so we could determine the upgrading costs after we bought. After the closing when we took possesion of the home Connie went with us to the water, electric companies to get utilities changed in our names. The one thing she told us was it isn't over when you close. She was there for any assistance now and later. If your looking for a good realtor I would recommend Connie in a heartbeat. She is a dedicated professional, a tiger during the negotiating process. Ensures that the customer is protected legally purchasing in Mexico. And ensures you understand the process of buying in Mexico. She makes buying property in another country a good experience. It is with pleasure that we write this recommendation / referral for Connie Meyerhoff . This is the second time we have purchased a condo in San Jose del Cabo. With our recent purchase we contacted our previous realtor(he is no longer working in real estate)and he recommended Connie.We had a wonderful experience with Connie as our buyer's agent. She was very professional, prompt, and kept us informed of all progress and any possible problem areas and even after closing offered her assitance if we needed anything to make our move as easy as possible.When the market improves and the time is right to sell our first condo, we will definetly contact Connie Meyerhoff and ask her to be our listing agent. Thanks! In some cultures, I'd be presenting you with a prized goat or perhaps a necklace made of teeth. There is no accurate or concise way for us to express our gratitude for all your diligence and conviction in completing this deal, except for saying Thank You. Connie has been our real estate representative for the sale of our home Casa Karlee. It was quickly apparent that Connie is detailed, smart and a great communicator who has a talent for selling homes in the San Jose and Cabo market. When discussing the probablility of listing our home for sale Connie advised us that she had some strong leads that would likely be interested in our home. When we were ready to sell we called Connie and she immediately began marketing the home. Connie conducted the walk through's herself and listed our home on the internet. We completed the sale of the home from San Diego and Connie kept us up to date on the transaction with regular emails and phone calls. We think Connie's regular communication with us made the process of selling the home smooth. We sold the home for more than we expected. Connie makes you feel like you get her individualized attention with the outstanding service she provides. We highly recommend Connie to be the real estate expert you appoint to help you purchase or sell your home. We know that you can trust Connie with any real estate subject and she possesses the integrity and experience to facilitate it. Connie's honesty is second to none. She is just good people. We would like to take this time to thank you for your recommendations guidance and assistance during the purchase of our condo. In taking the time to listen, interpret our needs and compile a comprehensive list of available properties. This truly made meeting you enjoyable and productive too. Within hours of our viewing we were able to choose a property, make an offer and begin negotiations. Your insight and ability to understand people are what brought this to the table. We cannot begin to express how satisfied we have been and how happy we are each time we open the door to our new home in Los Cabos. You set a higher standard that others should strive for. Thank you for everything. I just wanted to drop you a quick note and tell you that we really appreciate all you've done and are doing throughout our building process. I don't think there is a realtor in the world who has gone so "above and beyond the call of duty"as you have. Thank you. We met by chance at a condo development in San Jose del Cabo.Our request for directions led to a subsequent meeting, an extensive search for a second home and our enduring gratitude for the solicitude, knowledge and patience we became aquainted with doing business in a new culture. We have met a confidante, translator, counsel and guide who retains good humor, optimism and composure. We were introduced to community services and agencies. Seeming not driven by profit motive but by a desire to be the sunny ambassador of an unusually hospitable culture and community. When family, colleague's and friends ask us how they should start looking we have a stack of business cards from which to give them the only answer they really need. Special thanks to you for your always positive tone and your continuous offers to assist. You are one gem of a real estate agent! We really appreciate all that you have done. Thank you again for all of your kindness. Congratulations on a job well done. How do I thank you for all you have done to get us settled? You have been so very helpful and informative about everything. The closing is just about to the end and it is solely due to all your help. Thank you from the bottom of our heart. We could never have done it without your assistance. You are truly a unique person. You are the greatest. Thank you for offering the referral fees for recommending our friends, however we wish not to accept it. It was our intent to refer our friends to you for their own interest and in which you may benefit from the referral. We continue to refer additional business to you because of your excellent professional services. In regards to professionalism and expertise that we were provided in a recent real estate transaction, my wife and I count ourselves fortunate to have been the recipients of knowledge of the market conditions, positive objective review, and evaluation of housing opportunities. The openness in replying to questions and in the ability to deal with us and a Mexican seller all parties were comfortable with the closing and procedures. Every effort was made to assist our orientation to life in Mexico through direct communication and prompt responses. We commend the professionalism and personal skills in dealing with Mexican Real Estate with customers from the USA. Being a Realtor in the US we were skeptical of the process of purchasing in Mexico. We found it however to be much less "anxiety ridden" then originally anticipated. It was helpful to have a representative translate for us the documents and the patience and willingness of you and your company to deal with my "anxiety" was greatly appreciated. The biggest surprise is that there are only two documents to sign at closing. One for the Bank Trust Deed and one for the funds. Pretty astonishing. Unfortunately in the US we are so used to legal complications and lawsuits it makes us afraid of the simple things. Thank you for your support and assistance, were looking forward to spending more time in Los Cabos. We really appreciate your friendship and help through this year. We just came down yesterday and are so happy. You have been a great help. When my husband and I started looking for property in Mexico our friends and family thought we were crazy. Having no experience ourselves we were nervous. We researched and talked to agents but did not feel comfortable with who we talked to. We took a spur of the moment trip to Los Cabos and walked into Connie's office in San Jose. After asking every question known to man we knew we had found the right agent. Professionalism and knowledge, patience and no pressure it was very clear to us that the most important thing was for us to be comfortable and happy. Knowing the right stuff and making sure everything was exactly as it should be, going way above and beyond the call of duty for us, we would recommend anyone and everyone. We not only consider we have a Realtor but also a friend. Some will say buying in Mexico is scary, but it was actually quite wonderful! We have bought a piece of land and a condo and couldn't be happier. We feel safe here and find the people warm and welcoming. We really enjoyed the time at our complex and are extremely happy with our choice. It was also a very smooth transaction thanks to you and your way of doing business and dealing with people. Thank You, You were very thorough with everything and we appreciate it! I look forward to heading down south soon. Best Regards. Thank You Connie. It was a pleasure doing business with you. If ever we do anything else in Cabo, you will be the one we go to. Thanks again. Thank you for the emails and keeping us informed. We all agree that you have gone beyond the responsibility of a realtor to help us through our transaction. I feel we have made a good friend in you and can't thank you enough for all your help. I only wish you the best, you are very unique to help us the way you have. I am really looking forward to coming down in the fall. I know once we get to San Jose del Cabo we are going to fall in love with the area and won't want to come home. Our friends are enjoying the winter there and we are looking forward to when we can do the same. We are proud and excited to have the opportunity to recommend Connie for any real estate project where you are seeking the highest standards of interity and follow through. Our relationship began several years ago, we met San Jose del Cabo. Connie was informative and knowledgeable about her profession and real estate in the area. We already owned our condo and were only speculatively looking. By keeping in touch over the years, and when we were ready to sell, we knew who to list with. Not only did Conne sell our condo to a qualified buyer, she went above and beyond our expectations, taking care of several unexpected problems with our tenant, repairs and utility bills. As we were owners living in the USA our transaction might not have come together had it not been for Connie's efforts. We give our highest recommendation and feel certain your experience will be just as rewarding. After my husband and I decided to purchase a condo in the Baja this spring we asked Connie to be our real estate agent, having had her name recommended to us by my brother who bought a property successfully through her about a year ago. I cannot thank her enough for showing us a variety of properties until we were comfortable with our selection, and for all of the emails and phone call's during the step by step process necessary to purchase the property. We are from California and know how complicated real estate transactions can become. Our experience in Mexico through Connie proved to be very professional and comfortable. Connie has been there for us before the purchase, during the purchase through closing and afterwards helping us finalize the details for us to happily live in San Jose del Cabo for an anticipated 6 months per year. Thanks Again! Connie recently helped us with a long distance purchase in the San Jose del Cabo area. 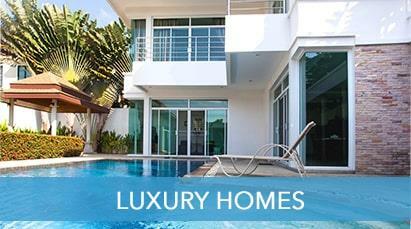 There are a lot of considerations when purchasing foreign property, that require expertise far above what might be required from an agent in your home country. Quite a lot more knowledge and a lot more personal handling and effort by your agent is required. Connie successfully guided us through the various Cabo locations and options available, indentifying benefits and drawbacks of each with out bias. Once a property is selected the purchase process and closing process is quite smooth and professionally handled and Connie was available to answer each and every question, and remains involved every step of the way, including after closing to help with the transition. Overall purchasing was quite an easy process, but I'm sure that is due to Connie's involvement and commitment to hold your hand through it all. We can't thank her enough! In the mail today we received our deed to our land in Baja Mexico. We want to express our deep gratitude to you Connie for everything you have done to make this a reality for our family. When we talk to our friends and we tell them our story, of how we found the land on the internet and contacted You for information, and ended up finalizing the deal before even setting foot in Mexico. They all thought we were Crazy!!!!! Crazy Like a Fox!!!!! We found the right piece of land for the right price, but MOST IMPORTANTLY IN MEXICO we found the right person to carry it all through. The way Connie took care of us and helped us went far beyond the bounds of a good real estate agent. 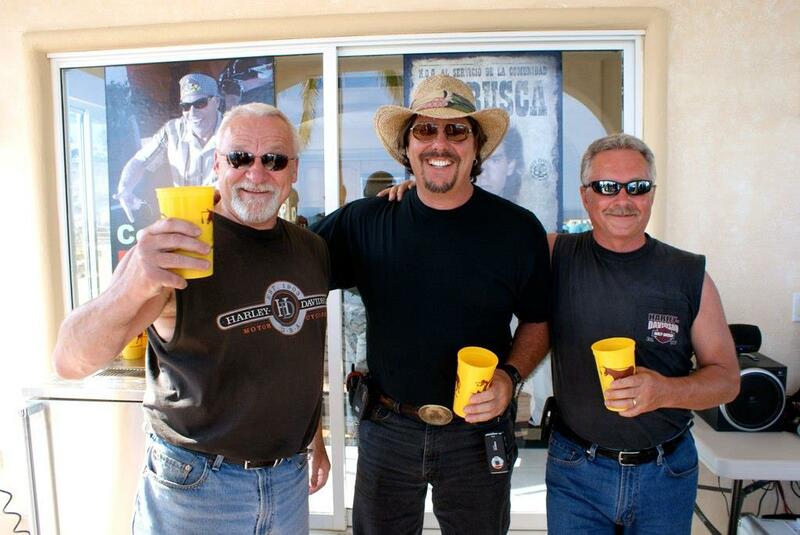 We feel ourselves very fortunate to count Connie as a true friend. If you want to buy real estate in Baja Mexico you could do no better than Connie Meyerhoff. I just wanted to say thanks for all of your support. You have made my purchase easy to understand and trouble free. 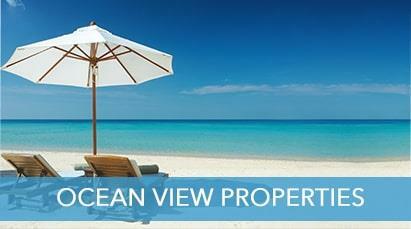 I would recommend you to anyone who is interested in property in Baja California Sur. In summary you are "On Top of Your Game". At this point it will be a few years time before I am able to build a home on my lot as I have a few college educations to pay for. Regardless "you will be the first person I contact" when I am ready to move ahead. Thanks SO MUCH! We met Connie Meyerhoff when we purchased property in San Jose del Cabo. We were more than impressed by her personality and professionalism during our transaction. She answered our questions and was more than a Real Estat Agent trying to make a sale. Her guidance so was so helpful that I do not think we would have gone ahead in buying property here had we not met her. Louise Saucier and Mario Forget Montreal, Canada. I wanted to thank you for your great service in finding our new home in Mexico. It has quite a history. I was very lucky to find your listing on the internet that motivated Alexis and I to come to Los Cabos to look at houses with you. You were the perfect agent for us and gave us a good view of what was out there and that is why we are satisfied now. What was even better was your service. Your knowlege of doing business in Mexico and how really comfortable we became with your years of experience. There wasn't a question that you could not answer. That made the finding, choosing, buying and closing on our new home very easy. Still being there for us to use as a person we can count on when we still have questions, makes our stay in Los Cabos even better. You are terrific at what you do and Baja Properties is lucky to have you. I know we were! We are the sellers of a condo unit in the Las Quintas development. Our sales agent was Connie Meyerhoff of Baja Properties. When we listed with her it was a time when prospects for condos sales were dismal due to the prevailing economical conditions. But to our surprise, Connie found a buyer and one who had to qualify for a mortgage. We were delighted and then watched and waited while she had to shepherd and steer the various parties through the time consuming processes. She kept us informed and helped us as well in finding tax assistance in our closing settlement. We would highly recommend this professional sales agent as a diligent, competent Realtor who is easy to work with and produces results with out a lot of fanfare. 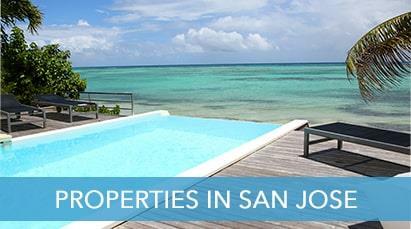 For info on Mexico property for sale we recommend Connie Meyerhoff . When we decided to start looking for our own real estate paradise in Los Cabos Baja Mexico, we recruited Connie Meyerhoff to work with us. It has been so refreshing to work with a professional and thoughtful agent. She really " heard us" when we told her what we were looking for. 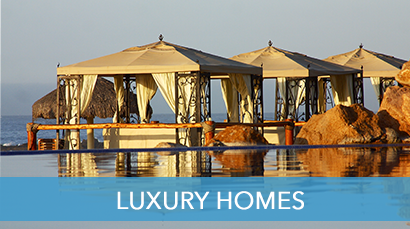 We are completely impressed with how knowledgeable she is about buying and selling real estate in the Los Cabos area. During our time in Los Cabos we were sometimes approached by other realtors asking if they could help us. We always said we were working with Connie Meyerhoff and the response each time was the same " your working with the best". We haven't been the easiest clients for Connie. We have changed our minds many times about what we were looking for, and each time Connie met the challenge with honesty and well researched facts. We haven't found our perfect place yet but that is because we are on a relaxed time line. On the other hand if you want to buy something over a week's visit to Cabo, she can do that too! Connie has full time residence in Los Cabos since 1997, and she works with Engel & Volkers Snell Real Estate who has been established in the area. We know that we are working with the best! We found one of Connie Meyerhoff's listings while surfing the Internet one weekend. We sent her alot of questions and she answered every question we had quickly and thoroughly. So we decided to fly to Cabo and have her show us condos in San Jose, the corridor and in Cabo San Lucas. She did an excellent job on the entire process from searching, negotiating and purchasing a condo as well as setting up our accounts for utilities. She is very honest, responsive and knowledgeable about the process of buying Real Estate in Cabo and helped us feel comfortable about our first purchase of property in Mexico. We highly recommend Connie. We will definetly use her again for our future Real Estate transactions. Thanks again for everything, we are so excited to stay in our condo next week. Connie Meyerhoff listed my commercial property in San Jose del Cabo and I recommend her to anyone considering a real estate transaction in Mexico. Connie is a stickler for details and finds a way to hold things together and at the same time hold the parties involved to accountability. In my own experience we were faced with a must sell situation and a very difficult buyer. Without Connie's patience and professionalism I would have walked out of the deal or lost the buyer on numerous occasions. Her steadfast optimism held things together and I often commented that her job is half psychiatrist and half sales. This sale was a very technical one. Selling a commercial property in Mexico has a far greater legal morass to work through than a residential transaction and Connie was up to the task fully with a great understanding of the law and government agency regulations. Long hours and hard work are her forte! Often I would see emails at 5am as well as after 10pm. She is a thorough communicator and will not tolerate any mis-statements or minunderstandings which is critical in a bi-lingual, bi-cultural environment. If you are considering listing your property for sale or are looking for assistance in purchasing property in Mexico don't risk doing business with someone who doesn't know the ropes! Connie Meyerhoff has the knowledge, energy, optimism, and connections to insure your transaction will be a positive experience. I have lived in Cabo and done business here for the past 20 years. I have known Connie for 14 of those years. I regard her to be a consummate professional with the highest ethical standing.